5. 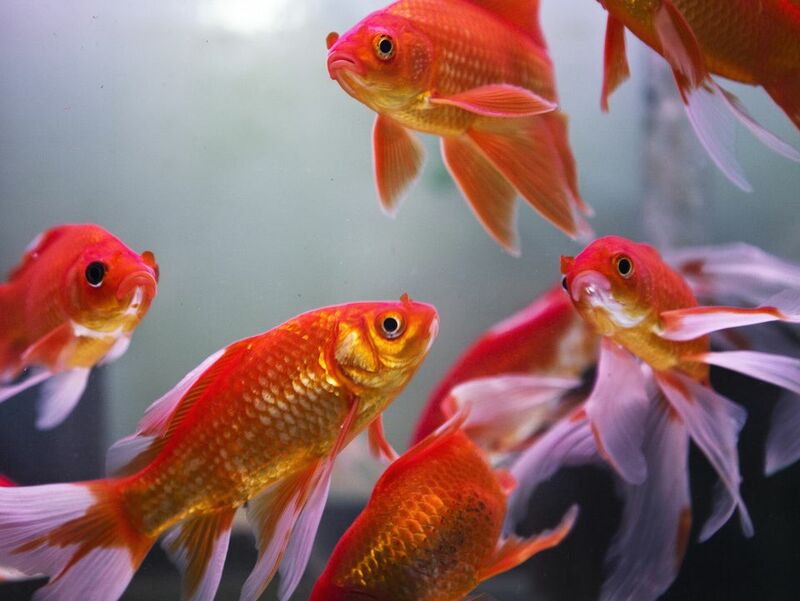 Feng shui fire element (the bright colors of the fish, as well as the aquarium lighting). The best area to place your feng shui aquarium is in the Southeast bagua area (the feng shui wealth and abundance area) followed by North area (career) or East (health and family). Never place an aquarium in your bedroom, or in your kitchen, as this brings unwanted feng shui energies to these two areas. The most famous feng shui wealth fish is the arowana, or dragon fish, and the purest arowanas are known to command quite high fees. However, the koi, or goldfish, are just as effective, as well as a pleasure to look at. Go for 8 or 9 fish, one of them being black. If you like the round shape more (metal feng shui element shape), then choose a smaller sized aquarium because the presence of a metal element shape might be too strong for the wood element of your money area. For a feng shui aquarium in the North bagua area of your space, it's best to go for a round shape, which is the shape of the metal feng shui element (it nourishes the water element of the North bagua area). As with any feng shui cure, be sure to keep it fresh, keep it beautiful, send it good energy/good thoughts and do not forget to take good care of it! Your feng shui aquarium will only work effectively as a potent feng shui wealth cure if the water is clean and oxygenated, the fish are happy and healthy, the plants are vibrant green, and the lighting is good. Spending some time with your aquarium, enjoying it and taking good care of it, as well as being clear of its feng shui role will strengthen its energy as a feng shui wealth cure.